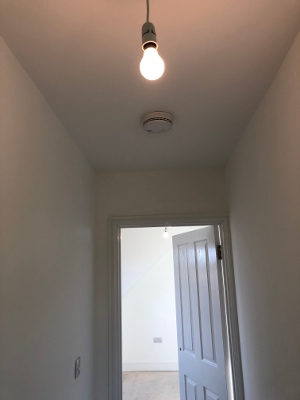 A recent installation of new lighting at a domestic property in South Ockendon. A wide variety of lighting installed throughout the property in a multitude of rooms. The work was completed in a variety of stages as other refurbishments were also being undertaken. 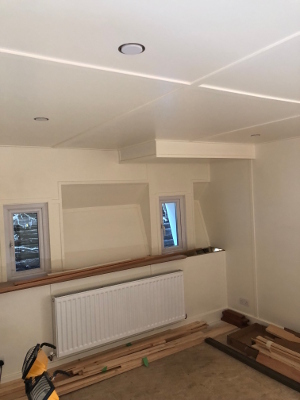 As can be seen in the photographs below, recessed LED spotlights have been installed in the kitchen area of the property, perfectly complimenting the new kitchen that had been installed. 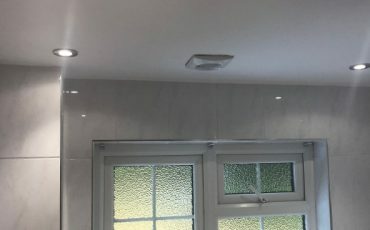 With over 50 years experience of domestic lighting installations in South Ockendon and the wider Thurrock and Essex area, Leigh Electrical should be your first call for any lighting installations you may be considering. To speak to us directly and arrange a free, no obligation quote at a time that suits you, please call us on 01702 873350. Why Use Leigh Electrical For Lighting in South Ockendon? Leigh Electrical are one of the highest rated electricians on both Trustatrader and Checkatrade in the South Ockendon area. We operate 7 days a week including evenings and if required, nights. All of our quotes are provided free of charge and we offer them at times convenient to our customers. Leigh Electrical are fully registered with NICEIC and as such all of our work is covered by the Platinum Promise guarantee. To see a selection of previous work we have completed, please visit out projects page here. Leigh Electrical are also members of the Government backed TrustMark scheme, which helps the public find reputable and reliable tradesmen. To speak to our team and arrange a site survey, please call us directly on 01702 873350. Variety of new lighting installed in a property in South Ockendon, Thurrock, Essex. For more information or to book a free, no obligation quote please call 01702 873350.